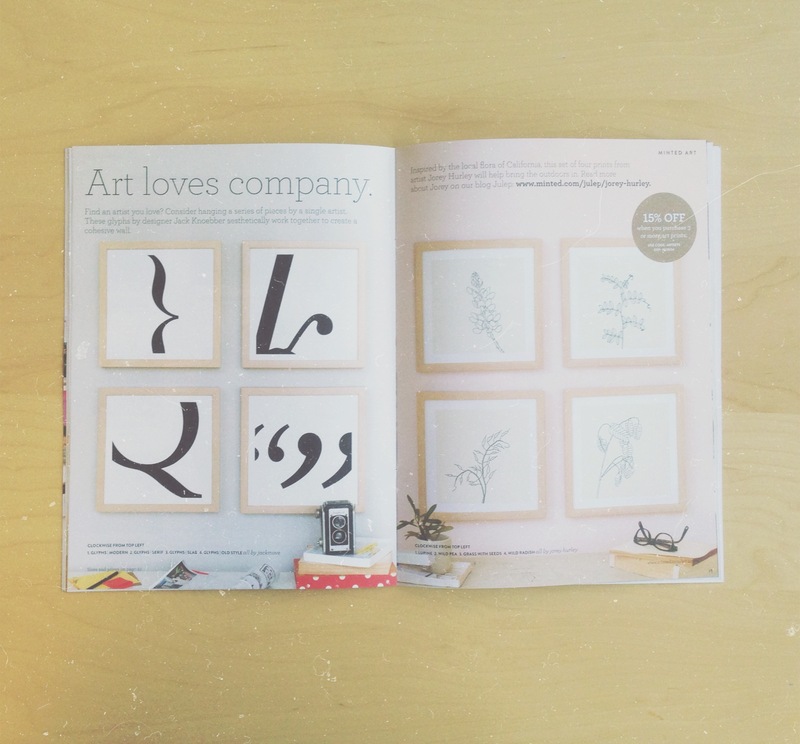 Minted created and sent out a new catalog featuring their Art business last week, and a series of my designs were featured as a full page! I'm so pumped. I had nothing to do with the choice to feature my designs, it was totally a surprise! Mine are on the left there. You can see the prints on the Minted site here.